Ugly Premium Flavored Tobacco is a brand that is known for its massive dragon clouds and its "in your face" flavors. With a nicotine content of .79%, it packs a heck of a punch to go along with that buzz. Ugly is manufactured in the United States in Illinois and uses Virginia FC tobacco with a honey base. It is a medium choppy cut blonde leaf that is a natural golden brown since it uses no dyes, beach, or color enhancers; realistically, it is anything but ugly. 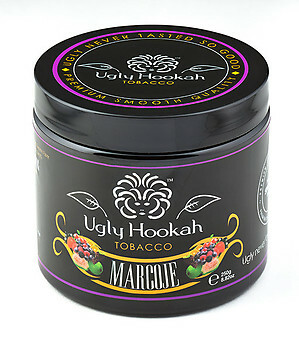 Ugly Hookah Tobacco tends to be fairly juicy to ensure a strong and consistent flavor is provided each and every time and is just one more reason why "Ugly never tasted so good." Ugly has a great variety to choose from and their 1 Kilogram tub / 1000g pouch is perfect for stocking up on your favorite shisha flavors while saving on expense and each tub is dated for quality control. 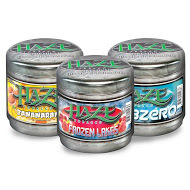 This size is packaged in a resealable tub that will keep your shisha fresh without the need of an additional air tight container. Ugly is fairly juicy and produces the best results when using either a fluff pack or a normal pack in a phunnel bowl. Always mix up your tobacco to redistribute the juices and then sprinkle it in producing a fluff pack. Just use your thumb and index to lightly drop in the tobacco up to the rim but not over. If you want a slightly denser than fluff pack, fill it slightly more and lightly pat down until all stray leaves are smoothed out and it reaches the edge of the rim. Ugly isn't very heat sensitive so 2-3 hookah coals to start depending on the size of the hookah bowl you are using is usually a perfect place to start and see if you want to work your way up.